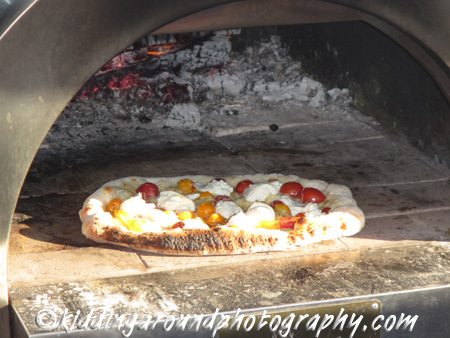 Wood-fired pizza hot out of the oven! Portland’s best pizza and its best pie? All in one location? And you get to vote on which ones are the best? While drinking a beer? Heck yeah! Willamette Week’s Pie Hard event is back, but this time it’s Pie Harder! From 5-9 p.m. on Tuesday, August 29, 2017 at Ecliptic Brewing, the Pie Harder event will give pizza — and dessert pie — lovers a chance to sample six different pizzas and three different desserts, and then cast a vote for their favorites in each category! We had a great time at the 2015 event and are sure that pizza lovers won’t want to miss the 2017 version. Proceeds will benefit Village Gardens, so you can feel good while you stuff your face with pies of all sorts. Yum. Enjoy your next slice — at Pie Harder or wherever you’re traveling this summer, whether it’s for a week or a weekend! Nice! John Harris, owner of Ecliptic, was Charlie’s first beer boss at Full Sail years ago where he ran the Pilsner Room brewing. Finally struck out on his own w/Ecliptic a couple years ago. Great guy; great event! I heartily endorse! There’s that Portland small town thing cropping up again! This event has been postponed and will now take place on Tuesday, August 29th. Please email me for the updated details. Sam – thanks for the heads up. The post has been edited to reflect the date change. We’ll be in touch via e-mail.